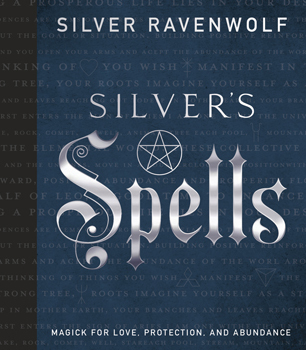 Bestselling author Silver RavenWolf presents her best spells for love, protection, and abundance - all in one powerful, easy-to-use book. Open the door to personal abundance with spells for inviting prosperity into your home and invoking the elements for financial assistance. Deepen your relationships with spells for finding a new lover, improving your connection to friends and family, and reigniting passion with your spouse. Protect your home, career, and loved ones with spells for blocking sabotage, handling stalkers and abusers, and settling disputes with coworkers, neighbors, or relatives. With Silver's Spells, you'll enhance your life in so many ways and live your life to its fullest.